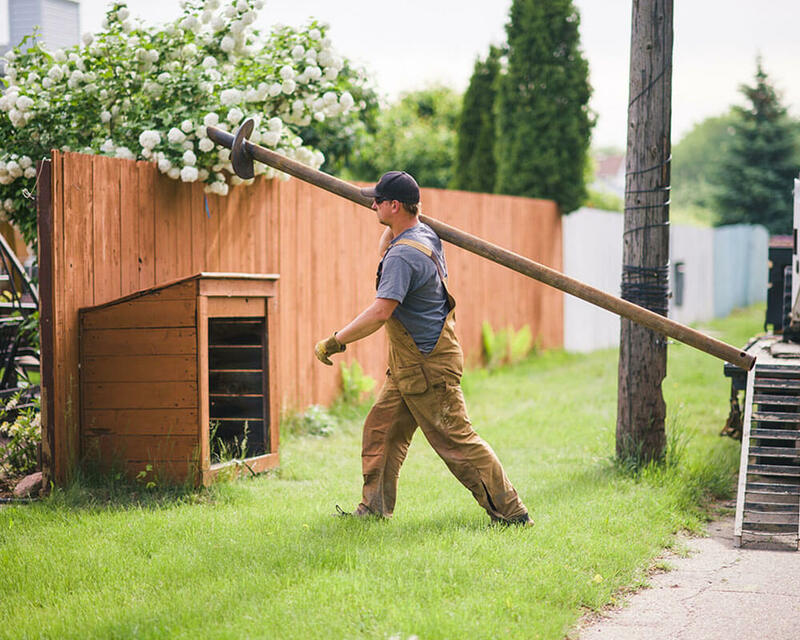 Screw Piles are ideal for any project that requires a solid foundation with no risk of movement. 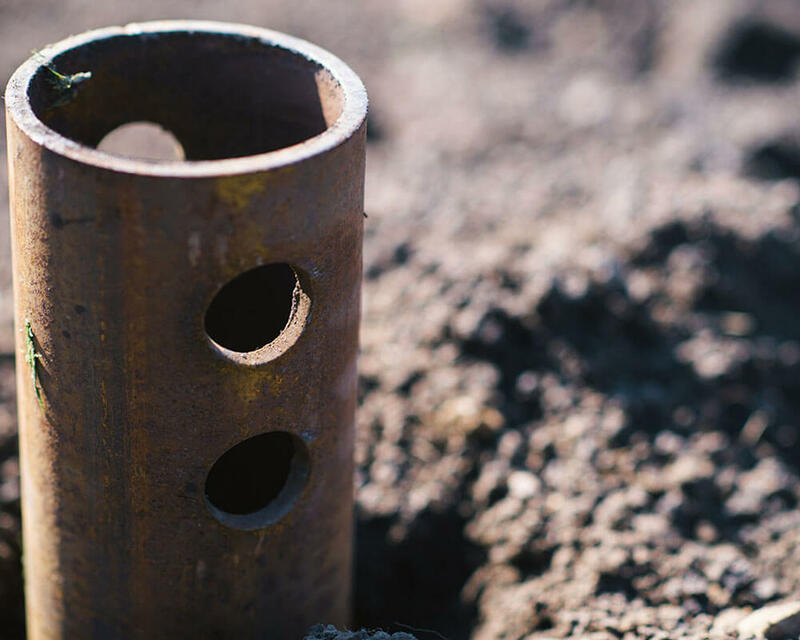 Perfect for any deck or gazebo project, screw piles can even serve as a stable base under concrete. 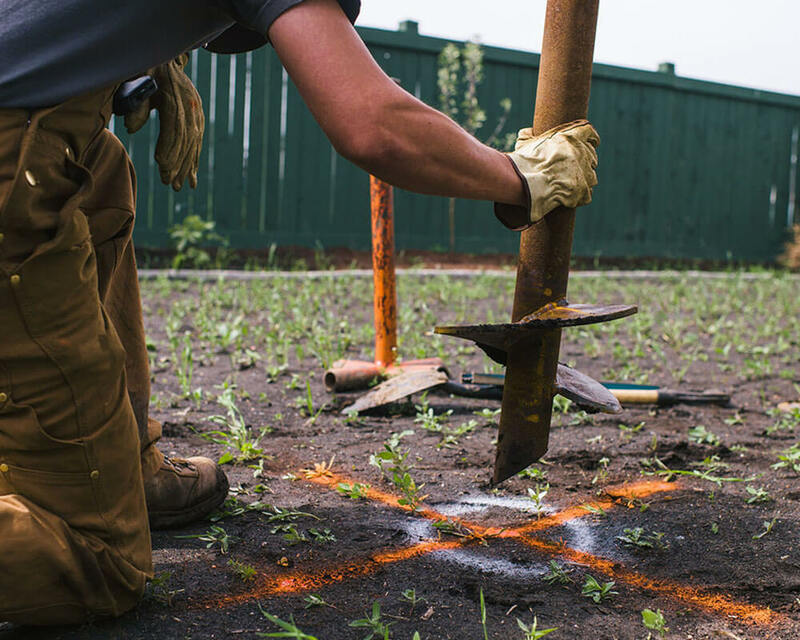 Thanks to our specialized machinery catered to residential and commercial applications, our screw piles are installed with minimal damage to existing landscaping and leave behind no mess. Compared to concrete, screw piles are installed in a fraction of the time. No more waiting for the concrete to cure – you can start building the moment the last pile is installed. 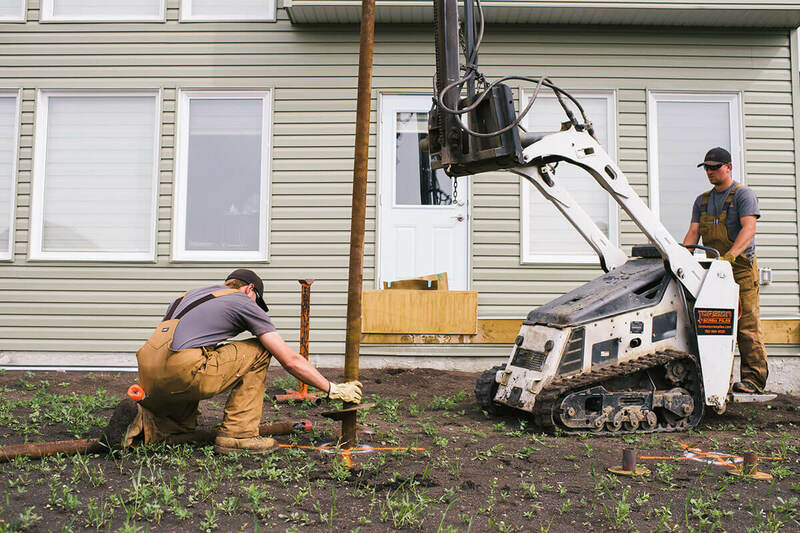 Engineered and built in Edmonton, Torsion Screw Piles are Installed to 10 feet unless torque is reached sooner and are perfect foundations for decks, patios, sun rooms, hot tub support, and more. The pipe shafts are constructed out of low carbon steel and is welded to meet CSA standards and specifications to provide industry-leading protection against wear and corrosion. A foundation and an anchor, the blade of the screw pile is installed below the frost line and acts as a load bearer. If additional depth is required, extensions are available. The smallest screw pile machine in our fleet, at only 36” wide is capable of installing a 10’ x 2 7/8” pile. There aren’t very many backyards this machine cant access which makes it ideal for residential installs. It is also very landscape friendly since it is a tracked unit. At only 4.9 psi (ground pressure) on the tracks, it is less than the average man. The T650 is used for jobs that require larger piles than the MT55 is capable of. 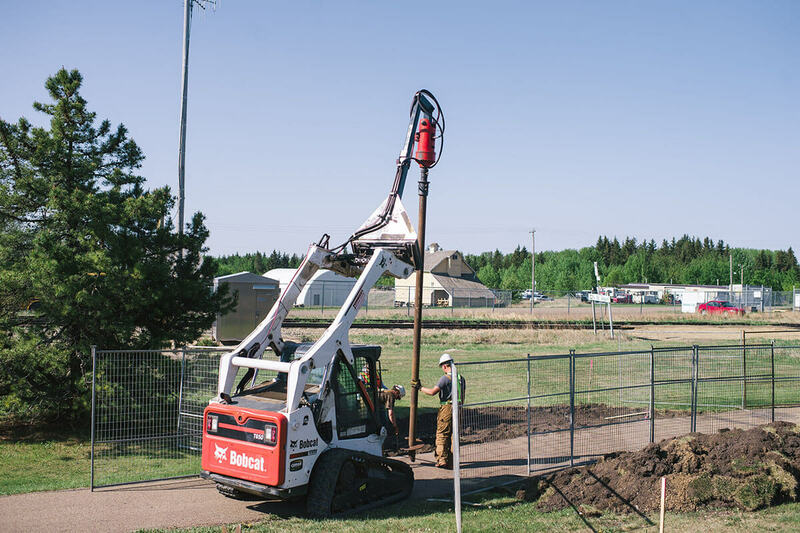 With this machine, we can install piles up to 5.5” if ground conditions allow. Normal tasks for the T650 include grade beam jobs and winter installs where the extra weight is needed. Phone ( 1-800-242-3447 ) or visit the Alberta One Call website and submit a location request. Take the first step by contacting Torsion Screw Piles to discuss your project and book an installation. Phone, email or text. All communications are answered as soon as possible. Clearly indicate the centre of the pile locations with a stake, paint or a flagged nail. If you are unsure where the piles need to be placed, check the website of your local municipality for building codes. Determine the height of the pile you would like to have left out of the ground. 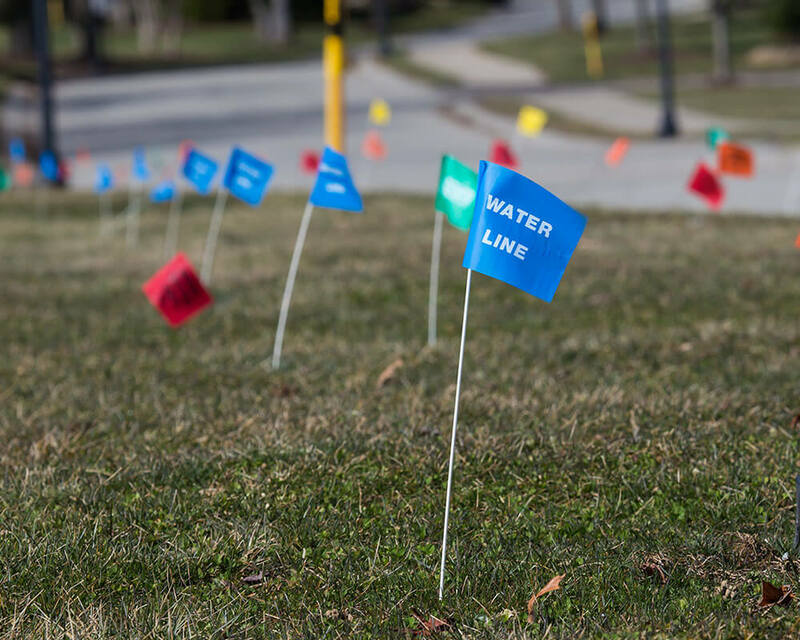 Pile height can be marked on a nearby structure, such as a house, or on a stake. Torsion equips each crew with a laser transit to ensure maximum accuracy. 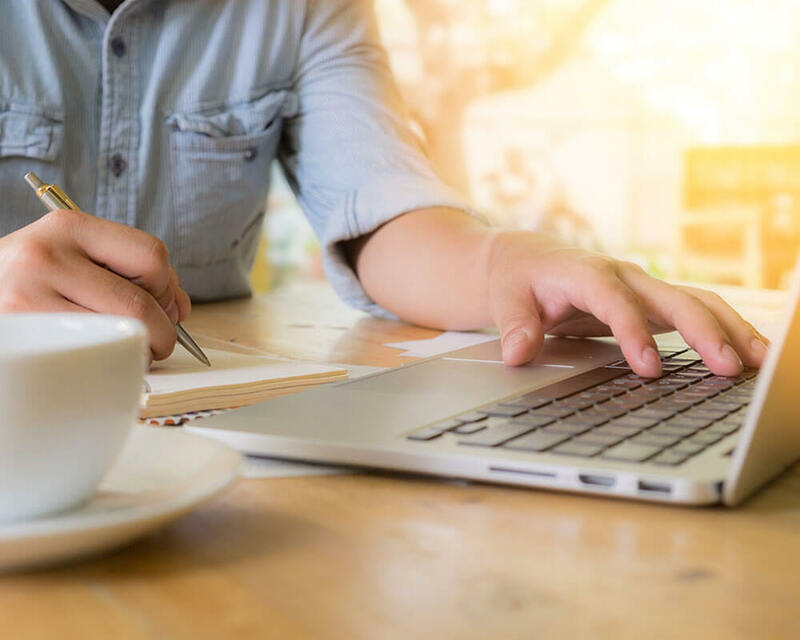 To ensure that your installation goes as safely and as quickly as possible, please remove any objects, such as toys, planters, hoses, etc., from the general work area and access points.